The industrial era is dead. The rules for business have changed. And there has never been a better time in history than now to create a love-fuelled and purpose driven life that uses your business as the central vehicle for creation. It’s about experiencing true personal fulfilment… more money & more love… not one without the other. Transitioning into the New Paradigm for true fulfilment however involves one main thing ~ change ~ which can seem daunting without the right guidance and support. The good news is there is a very specific path for the enlightened entrepreneur and a very specific science to being able to do change well. On Friday May 29, I invite you to come and dive in to the key principles for enlightened entrepreneurship with a team of hand-picked experts in their chosen fields. Whatever your business, you don’t have to do it alone. Scroll down and meet our experts below… and if you’re feeling the good vibes, book your seat. I look forward to meeting you in the flesh soon. Yes, I’m ready for true fulfilment! Neuroscience, epigenetics and even quantum physics now show us how the brain and body can be used to facilitate change, bring about transformation, harness creativity and inspire innovation far beyond what we believed possible only a decade or two ago. Success biology is therefore a game changer for anyone interested in self-mastery for explosive results in business. Sally Boardman worked as a psychologist for 10 years and has been employed within organisations in both the UK and Australia assisting employers to maximise their results with personnel using stress management, positive psychology at work, and mind strategies for success. 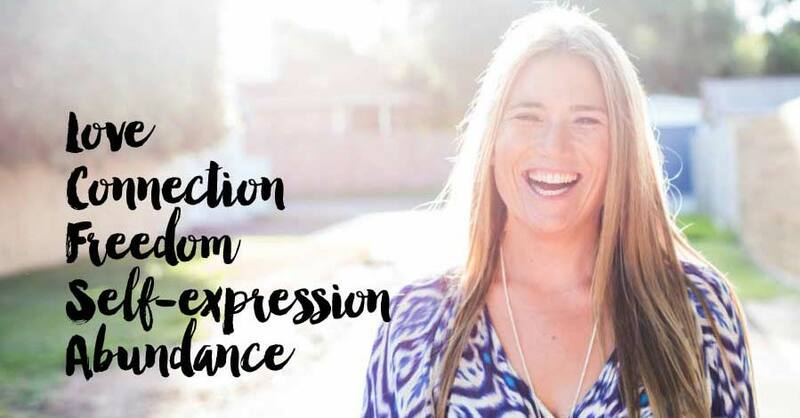 Sally is also a certified NeuroChangeSolutions consultant for leading international neuroscientist Dr Joe Dispenza and is a certified NLP Practitioner. She has always been passionate about the bridge between science and spirituality and delights in the new science findings of neuroscience and quantum physics. Alongside psychology and new science, Sally studied meditation and trained as a yoga teacher in India in 2004. Paul Dunn is a pioneer and a leader in the new paradigm of business and branding space. He has grown at least two companies to become $20 million+ enterprises and is widely known for his ability to turn normal into abnormal – ordinary into extraordinary… particularly when it comes to helping you articulate the motivating force breathing life into thae heart and soul of your brand. The clear articulation of this can catapult businesses from good to great, fast. Today, Paul is the chairman of Buy1GIVE1 (B1G1), an organisation that makes embedding generosity in business giving an effortless habit so that even the smallest business can contribute to social change in a completely new way… for as little as 1 cent per day. When incidental giving becomes part of your business structure, it also becomes a powerful part of your brand story so you, as a business owner, feel amazing about what you get up to do each day, and your clients know that by doing business with you (over a competitor) they are contributing to new world social change. Momentum, discipline, feedback and passion are integral mechanisms for peak performance. When these attributes are built into a strategic plan using your brands core values then your business has a definite plan and winning formula for growth and success. Delivered by Elise McSweeny, integrated strategic planning is important so that you have tools and a format for making good decisions quickly, and you have the tools for keeping yourself and your team aligned and accountable for these decisions. Elise has built and owned multiple businesses. Since 2010 she has been the the General Manger of Power Living Australia Yoga (P.L.A.Y) and in 5 short years has supported the business to grow to become an 8 studio business with a $10 million turnover. Power Living is now the most successful yoga brand in Australia and she attributes much of their success to her commitment to her integrated strategic plan. The connection economy has dawned and digital channels are what drives the majority of connections now available to us in business. Mastering the 1:many channels online means that business owners can get maximum results from minimal efforts. Once set up correctly, online lead generation funnel and a digital sales converting systems can work for you while you sleep. A journalist by trade writing for the country’s largest selling newspapers and lift outs including The Sunday Telegraph, body+soul and more, she then turned her hand to digital marketing for business. In 2013, Eloise co-founded the world’s largest event online for wellness business owners, attracting 12,000+ people from across the globe through her intimate understanding of the power in joint venture partnerships and online digital and marketing channels. She has also worked with numerous clients as their PR and/or Marketing coach. Her only mission is to inspire and support people to create a business that affords them more love, connection, freedom,and true fulfilment. Zoë is a cultural creative, and a social media boss woman that likes to build tribe for clients in a way that promotes new paradigm values of expansion, joy and juiciness. Demystifying social media for business owners and developing grounded and easy to implement strategies is Zoë’s passion. She has worked with several businesses at a senior level to execute this, including Lululemon Athletica and Power Living Australia Yoga. Zoe’s back pocket is filled with creativity and Zoë’s happiest place is revolutionizing stale and unintegrated systems to create new and cohesive ones that support a soaring brand message, using modern social media and digital channels. Her name means life and she embodies it to the fullest. What fires her up? Change makers, driven individuals, creative beings and people living lives that inspire them… in other words, business owners just like you. Why its so important to explore the heart of your brand to discover the core values that drive everything you think, say and do.